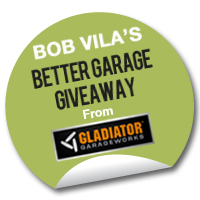 Today is the start of WEEK 2 in our month-long Bob Vila Gladiator®/GarageWorks “Better Garage” Give-Away. 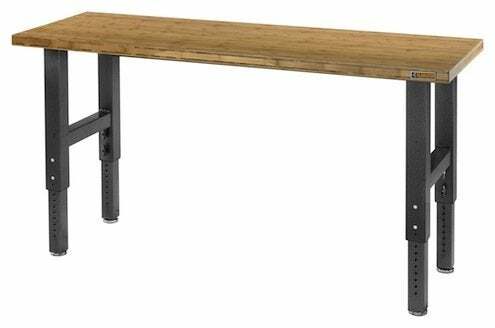 ENTER TODAY and every day this week to be eligible to win a Gladiator® Adjustable Height 6 ft. Bamboo Workbench, valued at $549.00 (MSRP). • Steel legs make for a strong foundation that can support heavy weights easily, without shaking or sliding. • Finished with a UV-cured protective coating, the bamboo top will resist any common garage chemicals. Be sure to ENTER Bob Vila’s Gladiator®/GarageWorks “Better Garage” Give-Away daily to increase your odds of winning—and check back next week when one lucky winner will have the chance to win either a Gladiator® Wall Solutions Pack (MSRP $429.99) or Gladiator® Jumbo GearBox ($494.99 MSRP). To learn more about the complete line of products from Gladiator®/GarageWorks, click here. The “Bob Vila’s Gladiator®/GarageWorks ‘Better Garage’ Give-Away” sweepstakes is open only to permanent legal U.S. residents of the 48 contiguous states and the District of Columbia; residents of Alaska and Hawaii are not eligible. Void in all other geographic locations. No purchase necessary. Contest Period runs from 12:00 a.m. (EST) Monday, October 1, 2012 through midnight (ET) Monday, November 1, 2012. One entry per household per day on BobVila.com. Alternative means of entry for Drawing is available by faxing your name and address to 508-437-8486 during the applicable Entry Period. Odds of winning depend on the number of eligible entries received. See Official Rules.